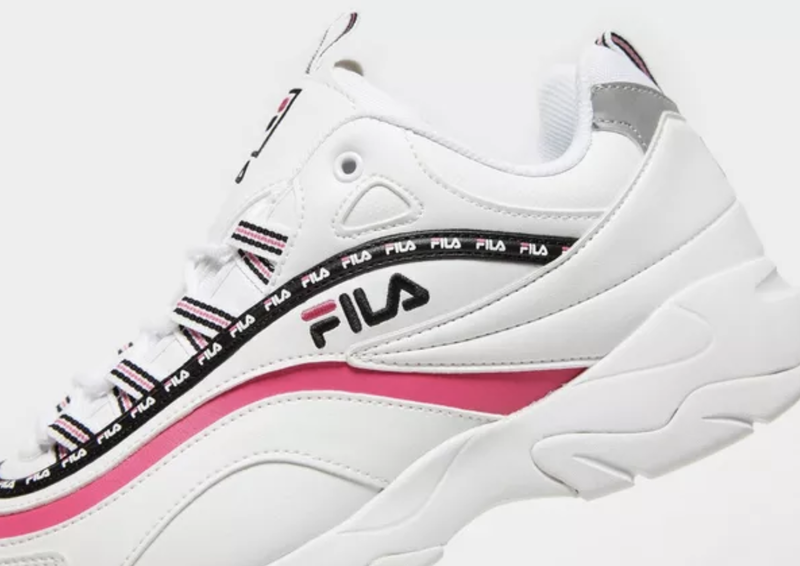 Here we take a closer look at the Fila Ray in White and Pink. 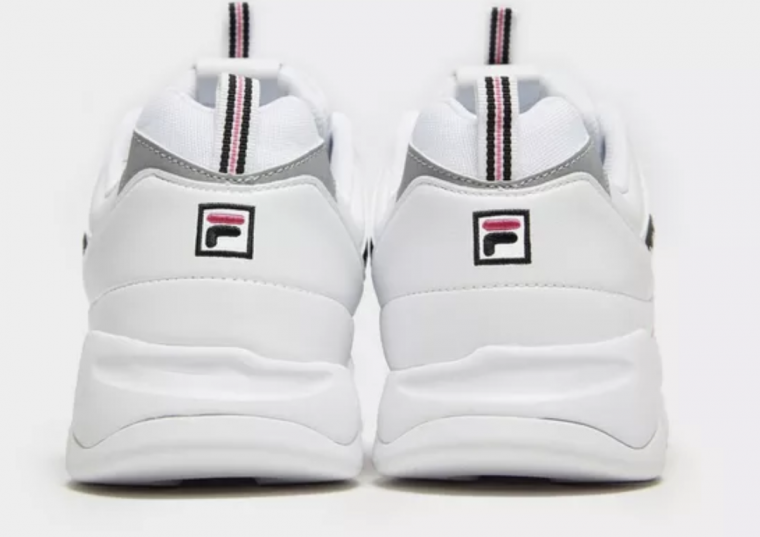 A feminine twist on a chunky trainer and a must have for your spring transitional wardrobe. Taking a pared back approach to the dad shoe trend, the Fila Ray is a sleek, trendy silhouette. Coming in a near all white upper and midsole, they’re fashioned from a smooth white leather with a strip of hot pink that runs along the outer sidewall, over the toe and along the inner sidewall. 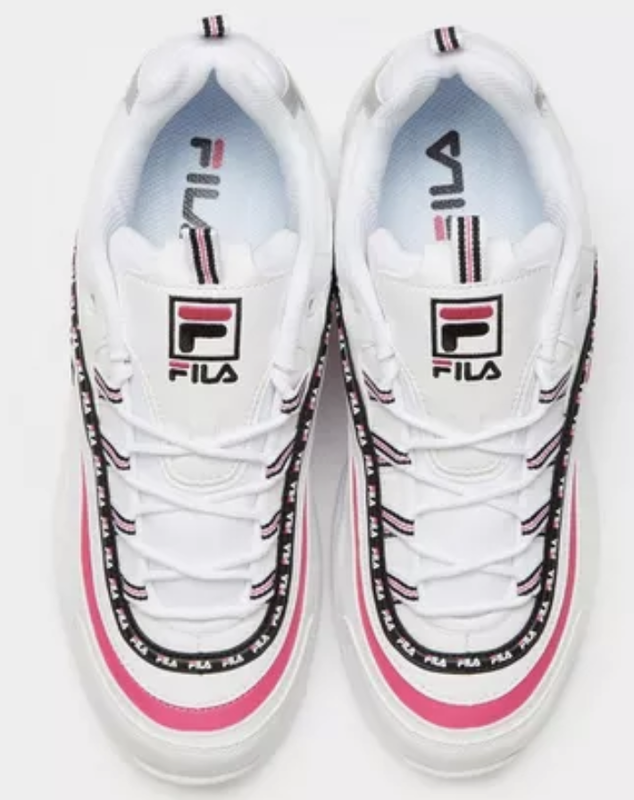 Around the eyestay, there’s the classic black Fila taping, which shows a repeating Fila logo in white that wraps around the whole shoe to give that overbranded look. That’s not the end of the branding; the Fila logo is embroidered into the outer sidewall, on the heel, and also on the tongue – just in case you weren’t sure what brand this silhouette was! 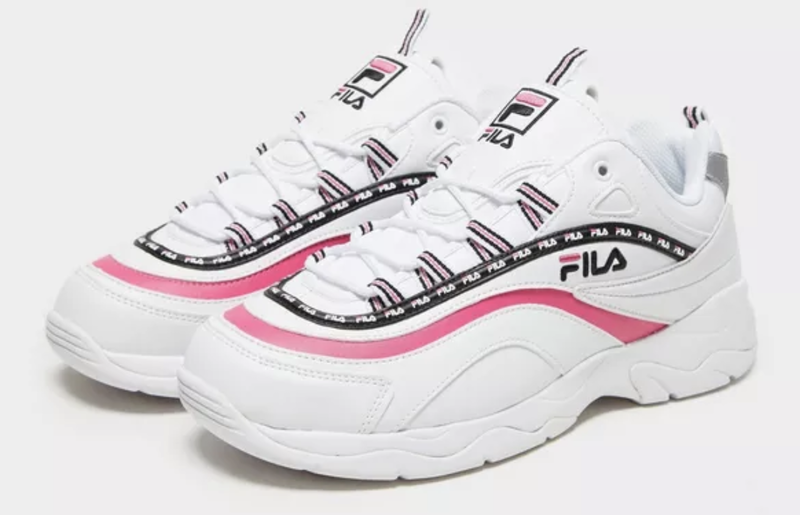 Of course, the Ray’s midsole takes a cue from the 90s, with its understated chunky design that’s statement worthy, but still sleek, stylish, and minimalistic. You’ll definitely feel at ease walking in these, with the oversized sole giving you cushioning and bounce with every step. Keep it simple by styling with lighter spring-inspired colours – skinny jeans and a simple crop top will do. Let the sneakers do the talking. If you’re loving the Fila Ray in White and Pink as much as us, check out the stockists linked on this page to get your hands on a pair! 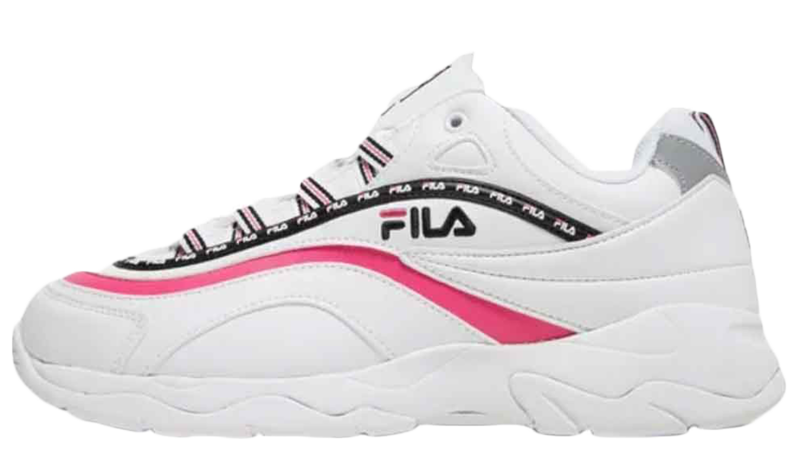 You can find more Women's Fila Ray Trainers Release Dates here!